Wolf Track's Video Game Store Point of Sale Software is the leading POS Software for the video game industry and costs less than a cup of coffee a day. Our Liquor POS Software offers everything the liquor store owner needs to improve profitability and track inventory starting at only $30.00 per month. Wolf Track Retail Point of Sale Software will help your retail store track inventory, track multiple taxes and easily check out customers. All for just $30.00 per month. 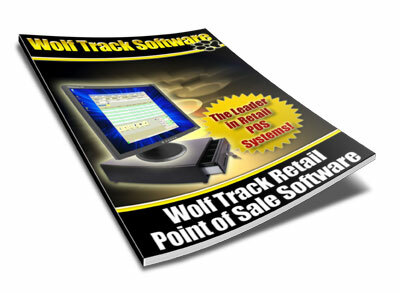 Since 1998, Wolf Track Software has been a leader in the POS Software Marketplace. Selected by Video Game Stores, Liquor Stores, and other businesses across the country, our customers trust our products to handle all of their point of sales needs. Full featured, simple to use and affordable, Wolf Track POS Software should be your first choice for Point of Sale Software for your business. Starting at only $30.00/Month, we invite you to download a free trial copy of our software to see for yourself just how easy Wolf Track POS Software is to use. We guarantee that you'll be up and running in your store in only a few minutes. And if you should have any questions at all, our friendly and knowledgeable staff is standing by to speak with you at (918) 794-1544. 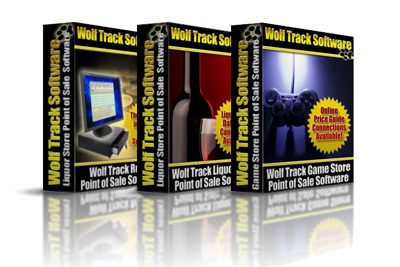 Click a button below to get started learning more about Wolf Track POS Software right now! Call us now at (918) 794-1544. Case Break is great for selling cigarettes and Beer. You can break cartons into single packs. You can break 24 packs of Beer all the way down to single cans if you need to. Case Break will help keep your cost down and your profits up. "When I first opend my liquor store, I had no idea of what to do. Your software was very helpful. I called a few times for support starting up, and you have been very helpful." "Wolf Track Software includes a lot of great features."